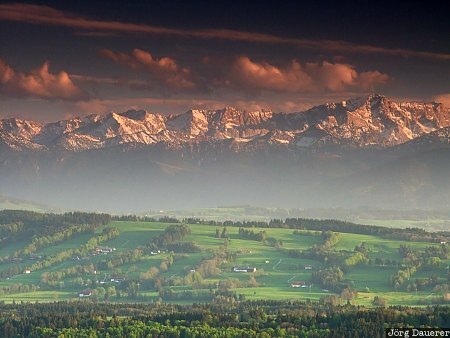 The Bavarian Alps seen from Hoher Peissenberg south of Munich in southern Germany shortly before sunset. This photo was taken on a cloudy day in early May of 2003. This photo was taken with a digital camera.